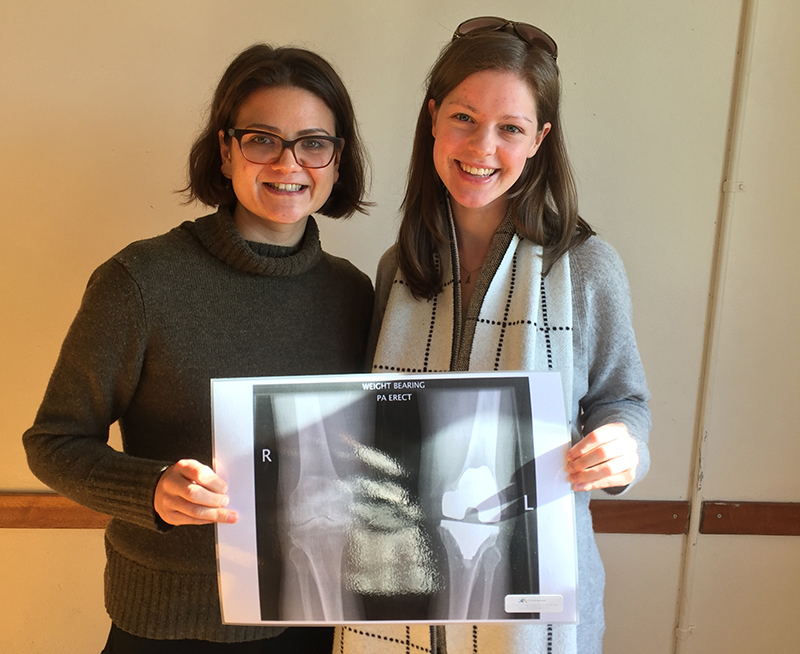 Water Well Project volunteers Steph Nesbit (left) and Dr Anna Power presented a session on bone and joint health. New arrivals to Australia face a number of barriers to health and wellbeing, something Dr Linny Kimly Phuong knows only too well as the daughter of Vietnamese refugees. In 2012, Dr Phuong, an infectious diseases registrar and AMA Victoria member, founded The Water Well Project, an Australian not-for-profit health promotion charity which aims to improve the health and wellbeing of migrant, refugee and asylum seeker communities by improving their health literacy. The charity is run by a dedicated group of volunteer healthcare professionals and recently celebrated its 500thcommunity health education session. The Water Well Project delivers culturally-sensitive health education sessions in Victoria, New South Wales and Tasmania based on the needs identified by refugee support organisations. There are many topics covered including navigating the Australian healthcare system, healthy eating, exercise, diabetes, mental health, contraception and immunisation. Dr Phuong established The Water Well Project around the time she began her intern year and devotes much of her time outside of work to the organisation. It has also challenged her to work well outside her comfort zone. “I never set out to create an organisation,” she reflected. “It just kind of happened and gathered a lot of momentum. Before I knew it we were in three states!” She recognised early on what her strengths and weaknesses were and has brought a range of people from diverse backgrounds onto the board to help assist with responsibilities like balancing ledgers, running social media campaigns and navigating not-for-profit law. “There is so much stuff that you do not learn in medical school! Donate to the project – As a registered health promotion charity, The Water Well Project has deductible gift recipient (DGR) status. All donations above $2 are tax deductible.